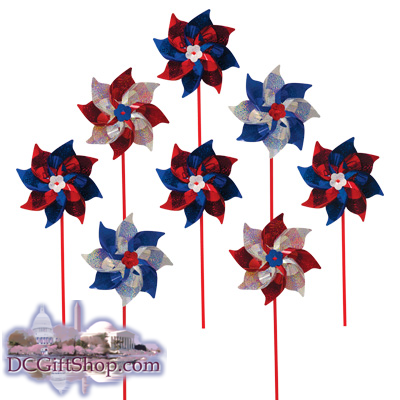 Show off your patriotic spirit with this 8 piece set of red, white, and blue pinwheels that are made of quality mylar. These summer toys can also serve as home decorations and come on 12 inch plastic wands. These Patriotic Pinwheels are the perfect summer toy for children of all ages.